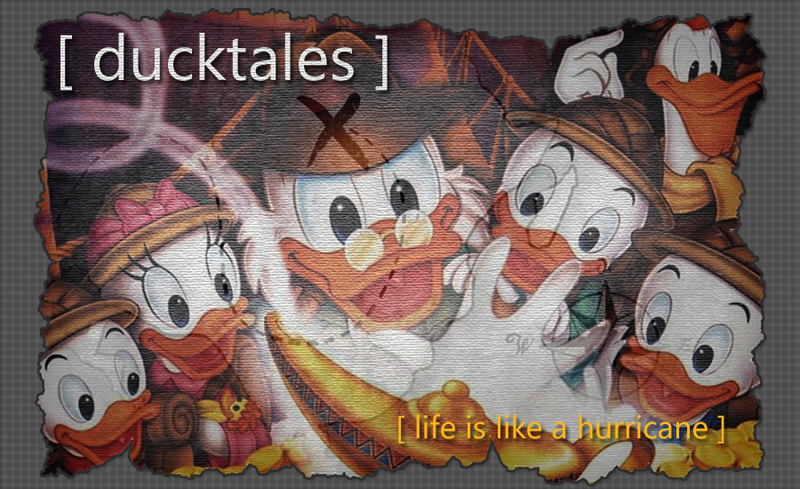 DuckTales is one of my favorite cartoons. It's timeless. I still watch it. And one of the main reasons it is so good is the characters and their relationships with one another. At the core of the show there is a large group of regulars who find themselves on many an adventure, both in Duckburg (the town where they live) and in exotic foreign lands. These regulars are great characters with contrasting personalities and their interractions with one another really makes this show memorable. 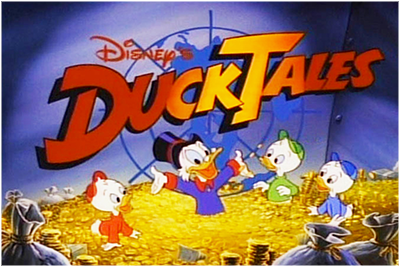 Scrooge McDuck is a wealthy penny-pincher who takes in his three nephews, Huey, Dewey, and Louie, while their Uncle Donald is in the Navy. It is hard at first, but they grow used to one another and after their first treasure hunt adventure together, they are inseperable. Already in the house at the time of the arrival of the nephews, is the butler, Duckworth. But he is more than a mere butler. He is a friend and he is quite involved in their lives. He even coached the boys' baseball team. Another employee is Launchpad McQuack. He is a crash-loving pilot who accompanies Scrooge and his nephews (and others not mentioned yet) on their trips. He is a fun and loving duck who loves his friends like family. And he's a great friend. He is also the boys' (and Doofus') Jr. Woodchucks Leader. And yet another employee, Gyro Gearloose. He is an inventor, always coming up with new and exciting technology. It sometimes backfires. But he is always needed and appreciated. Sometimes he feels underappreciated. As did Duckworth at one point. But in the end, he realizes he is more than a gadget man to his employers, and fellow co-workers, he is also a good friend. After a bit, Scrooge realizes that the boys need more supervision than he, or Duckworth, can provide. So he hires a maid/nanny named Mrs. Beakley, who cares for her own young granddaughter, Webbie. Webbie is about the boys' age. But it takes some time for them to get used to her and treat her as one of them, and eventually they love her like a sister. Mrs. Beakley is a project for the boys, they want to get rid of her at first, after successfully getting rid of others, but she is there to stay. And they end up liking her, in spite of themselves. These central characters, their meetings, and their final relationships is a big part of the show. And the characters are family in the end. That makes their adventures and time at home more enjoyable. They're just great together.